I never met Phil Klass face-to-face, which (it goes without saying) means I never met his alter ego, William Tenn. Unless you define "meet" as "encounter," in which case I met him during the Golden Age of SF: i.e., when I was about ten years old. 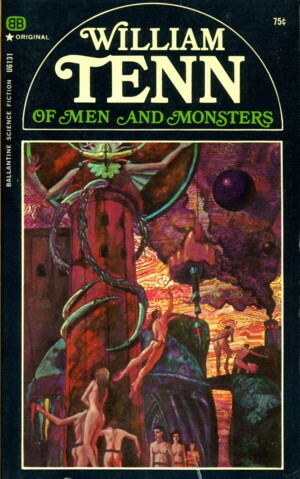 I don't recall which specific Tenn story was my first, but it may very well have been either his very first story, "Alexander the Bait" (which I would have read in Groff Conklin's Omnibus of Science Fiction, Crown 1952) or "Child's Play," his second story, reprinted by Conklin in A Treasury of Science Fiction, published by Crown four years earlier. Not that it matters, really, since I was an ardent fan of William Tenn from whenever I first ran across him. I recall clearly the plans I had for my weekly pay when I was sixteen and delivering papers in the hills around Roanoke. 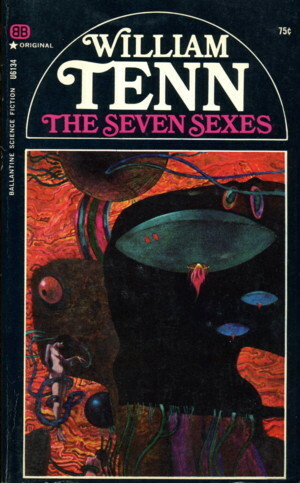 I had a long list of albums (Mothers of Invention, Electric Prunes, Yardbirds and other soft-rock hits) and books I wanted to buy, and among them was the lovely little matched six-volume set of William Tenn stories that Ballantine brought out in 1968. I had to get them one at a time, as they came out, but I was proud of that little row of books and I showed them off to my other sf-reading friends. Those original copies were lost in one move or another, but I've subsequently acquired another set, all in fine condition, and I still show them off to people, given the slightest encouragement. It doesn't bother me in the least that two of themOf All Possible Worlds and The Human Angleweren't first editions in that set, since I've also managed to track down perfectly nice copies of those originals as well; that the other four are, in fact, original publications is just icing on an already tasty cake. Phil Klass (not to be mistaken, of course, for the UFO-debunker of the same name) didn't leave an extensive oeuvre, but what's there is, in the words of Spencer Tracy, "cherce." 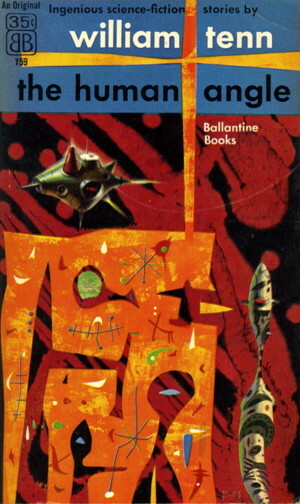 He wasn't a particularly poetic writer, although he came close from time to time, nor did he show the elegance of prose that Cordwainer Smith or Alfred Bester so often gave their readers. What he had, and had by the bagful, was humanity. Oh, don't get me wrong, there's plenty of the Marx Brothers in his stuff, but just as often there's more than a hint of Charlie Chaplin. Klass could make you laugh out loud, but there was always an undercurrent of compassion in his writing that made you engage with his characters all that much more. This is more important than you might think, and far more difficult than almost anyone understands. Humor depends on a number of things in able to work. In order for it to work, and to work well, they all have to be kept in the air at once. Timing, delivery, concept, build-up, gag: when one of these falls flat, they all fall flat, and nobody but another humorist can say that the others might still have come off. Nothing is less funny than something which is supposed to be hilariousand isn't. Phil Klass understood this at his core, and although his stories might not be Shecky Hackett/stand-up comic funny, they're still funny as hell. Stories, I should point out, aren't the correct vehicle for stand-up humorthe few times it's been tried by various writers, it's fallen even flatter than a CD-ROM in a punch-pressbut they're a perfect vehicle for a funny situation, and here is where Klass shone. But comedy isn't the same thing as humor. Comedy is of-the-moment, here and now, and fast as a fat guy in a top hat and tails slipping on the ice. Humor (especially satire, Klass's forté) is extended, lingering, sustained; humor is the funny story, comedy is the punchline. Phil Klass was all about the sustained humor of satire. Never satisfied with mere punchlines, he took us through the whole process of funny, spinning out his yarns bit by bit, injecting cross-cultural humor as required by his stories' concepts. Klass was Jewish, so naturally the humor in his work is predominately so. However, it isn't exclusively JewishKlass is just as adept at finding universal ways to make us laugh as he is at the ethnic stuff. But his cultural roots (as well as influences as widely diverse as Bernard Malamud and Sholem Asch) are evident even in those stories which occur far enough into the future that (let's face it) there would be very few people speaking in traditional Yiddish cadences. Doesn't matter. Science Fiction isn't ever about the future, even when it's set there; it's about the Now, and part of the effectiveness of his humor was the juxtaposition of, say, the archetypal equivalent of a Brooklyn candy store owner in, say, a colony on Venus. Other writers tried to use this trope and failed at it. Klass could make it work because that's the way it worked for him. He knew funny, and was one of the lucky handful of writers who could actually get it right on paper. Klass was no mere Borscht Belt tummeler, though, nor was he a one-trick pony, however good that trick might be. Satire is easy to find in sf, especially in the first decade or so of both Galaxy and F&SF: Kornbluth, Kuttner, Goulart, Brown, and Sheckley were only a few of the authors whose wry takes on subjects like television, psychiatry and advertising kept H. L. Gold and Boucher & McComas supplied throughout the 1950s and '60s. But Phil Klass offered more than just lampoons of popular cultural icons, he gave the reader a sense of humanity, without which satire is mostly just, well, punchlines. He honestly liked people, and even though he was more than conscious of their foibles and frailties, he firmly believed in their kindnesses and empathy. In one of my personal favorites, "On Venus, Have We Got a Rabbi" (written for Wandering Stars, ed. Jack Dann, Harper 1974), Klass (as Tenn, of coursewhen I speak of one, I also mean the other) tells of a problem of Talmudic proportions: aliens want to become Jews. So what? you might ask. Well, leaving aside the fact that Jews don't proselytize, there are traditional aspects of Judaismmostly what makes a Jew a Jew and what doesn'tthat have been part of history since the very first yarmulke appeared on the very first kopf. How can an alien, a Bulba at that, be a Jew? Why not? you might again ask. There's a reason, hence the conflict that must be resolved here: Bulbas are not just aliensthe blue people from Aldeberan are aliens, and they're Jewsthey're inhuman aliens. They're described in the story as ". . . brown pillows, all wrinkled and twisted, with some big gray spots on this side and on that side, and out of each gray spot is growing a short gray tentacle." The problem here isn't that they're different, it's that they're too different. "A Jew can be blue," the protagonist tells his son, ". . . and a Jew can be tall or short. He can even be deaf from birth like those Jews from Canopus, Sirius, wherever they come from. But a Jew has to have arms and legs. He has to have a face with eyes, a nose, a mouth. It seems to me that's not too much to ask." Milchik, the narrator, is not the only one who is opposed to the Bulbas calling themselves Jews, this is a controversy that threatens the whole colony's well-being. The solution is both properly Talmudic and properly science-fictional, and in resolving the conflict Klass shows us that even brown, cockroachy pillows can be endowed with a Human-ness that transcends their non-humanity. It's a warm, funny, compassionate story that leaves the reader with a feeling of deep satisfaction. That it was written a good seven years after his last published story is testament to Klass's aptitude, and a refutation of the old saw that those who can't, teach. Didn't I mention that before? Phil Klass had a day job, from 1966 on, teaching writing and matters stfnal at Penn State. I can only imagine what it must have been like to sit in his classroom; his likable personality and communication skills must surely have enabled him to reach and influence his students over the years. A day job was necessary, since Klass's period of greatest output was during a time when many sf/fantasy magazines were disappearing, some almost overnight. He didn't write the long form, at least not much. His only two books-published-as-novels were A Lamp for Medusa (originally "Medusa Was a Lady!") and Of Men and Monsters (originally "The Men in the Walls"), and both stories were actually novellas, not full-length novels. 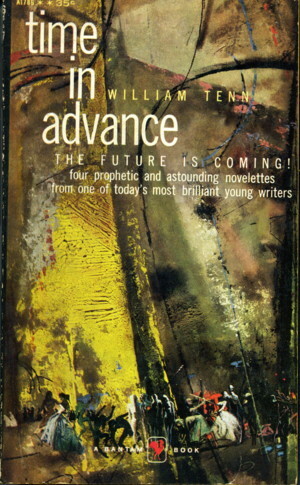 Tenn's strength as a writer lies in the sensitivity that allowed him to identify and dramatize the pathetic as well as the comic aspects of his ironic situations, giving stories such as "Down Among the Dead Men" (1954) and "Time Waits for Winthrop" (1957) an unusually poignant dimension.
. . . "Liberation of Earth" (Future, May 1953)the funniest story [Tenn's] ever written, and about as equivocal as a punch in the solar plexus . . . If I'm right, it merely proves what needs no proof, that Tenn is another artist who won't stop till he's had the last word. 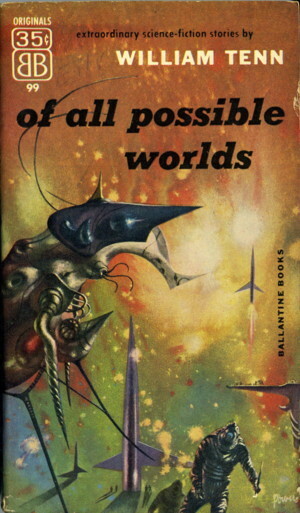 This truly funny story wasn't reprinted until 1968, when it was included in the Ballantine collection Of All Possible Worlds, but has been reprinted several times since. I urge you to seek it out. "Down Among the Dead Men" and "Time Waits for Winthrop" came from H. L. Gold's Galaxy, the magazine where Klass found his greatest editorial welcome and most appreciative readership. From his first sale to Gold in 1951 until his last (to Frederik Pohl) in 1963, fully half of his output appeared in what was at the time the most important challenger to Campbell's Astounding. Klass and Galaxy were matched perfectly. Satire was the magazine's strong suit, as I've said, and Klass's skill at sending up almost anything without betraying even a hint of contempt made him a favorite. Galaxy also gave him a platform for his more serious work, without which he might have never been able to stretch his wings as he did with ". . . Dead Men". We talked for more than an hour, about the book and his own stories, his career, other writers[vi] and just Stuff. I found him to be bright, personable, funny as hell, and grateful that I'd thought his book was worth writing about. It led to other conversations, phone and e-mail, and a promise that he would approach the editor of the SFWA Bulletin about the possibility of writing a series of articles about his career. Alas, his health intervened, and it never came to pass. However, his work speaks loudly and clearly on its own, appealing to any reader who is searching for wit and wisdom, for both pathos and joy, for meaning. I heartily recommend the three volumes of his fiction and non-fiction published by NESFA and listed at the end of the bibliography below. There are damned few authors whose (nearly) complete works can be had in three hefty volumes, and even fewer whose (nearly) complete works contain almost no filler. I can think of little else more worth your time and money. "My Mother was a Witch"August 1966 P.S. "The Student Rebel: Then and Now"June 1966 P.S. [i] Frankly, all that's different now from when I was a kid is that my great-nephews are watching Larry, Moe and Curly on DVD instead of Channel 13. They still run around the house afterwards yelling "WUBWUBWUBWUB!" and calling each other "knuckleheads" while their mothers despair and their sisters think they're idiots. So did mine, so did mine, and so it goes. [ii] Well, okay. If he had written more "serious" stories, I'd also have had a lot more really good reading, but that would be pampering myself. 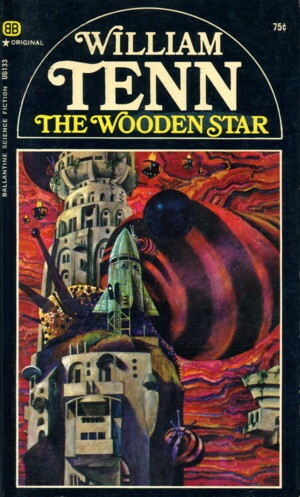 [iii] Actually, Frederik Pohl and Judith Merril did most of the work; Heinlein wrote the intro and approved their choices. [iv]Children of Wonder, in case you're unaware (it appeared in paperback as Outsiders: Children of Wonder). [v] "Of course I know who you are!" she said when he introduced himself, and she later told me that he almost cried. [vi] He mentioned that he used to sell copies of the anthology to a bookshop in the Village, and one day as he was going in, a young Bob Dylan was coming out of the folk club upstairs. They spoke for a while, and Klass's recollection was of an intense but friendly young man who expressed an interest in his work as a writer.